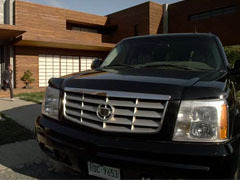 This SUV is used to transport the Samurai Rangers to various locations. 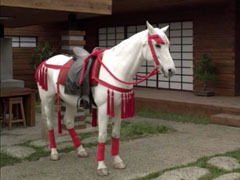 The Rangers can summon Horses by using their Symbol Power. 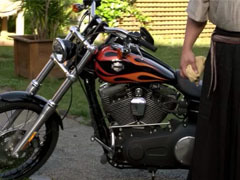 Red Mustang summoned by the Red Samurai Ranger using Symbol Power. 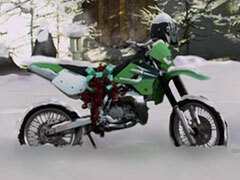 his motorcycle was given to Mike by the others and Ji for Christmas, but in the spirit Christmas Mike gives the motorcycle to Bulk and Spike.